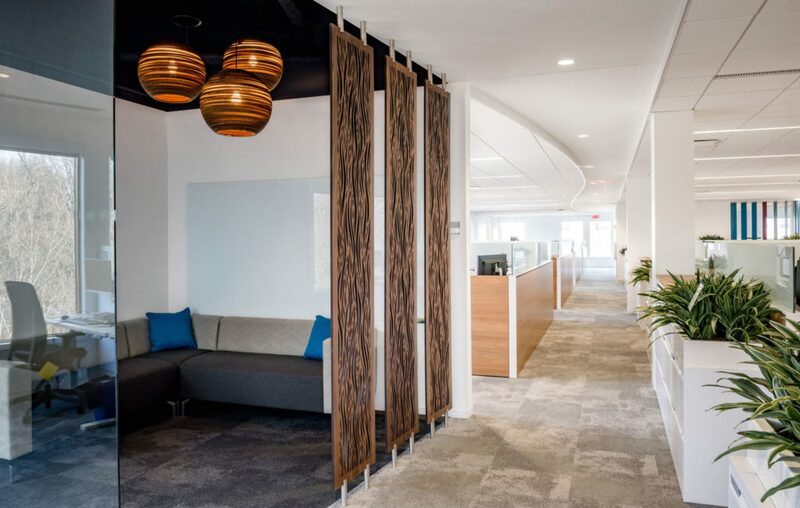 After 50 years at their Wheeler Street location, Abt Associates needed an office that could better accommodate their growing Cambridge, MA, team. They decided to move their operations around the corner to 10 Fawcett Street, where they now occupy a 90,000-square-foot “Workplace of the Future.” Designed by IA Interior Architects, the space seeks to maximize employee productivity by increasing their health and wellness and fostering collaboration among Abt’s 3,000 global employees. 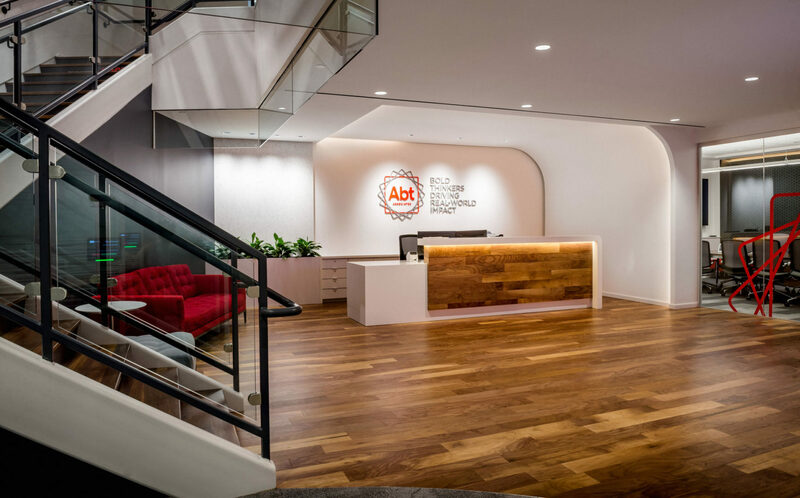 Abt’s new office has completely transformed their workspace: they went from closed offices scattered over several buildings to one unified space with 100% open offices, all with natural daylight or direct outside views. The space features cafes on every floor, two outdoor balcony/patios, and an abundance of meeting/collaboration spaces with state-of-the-art communication technology. Because Abt is committed to sustainability the space was designed to meet LEED standards. It features high recycled content furniture and carbon neutral carpeting. Low VOC paints and adhesives and 800 air-filtering plants contribute to indoor air quality. Energy efficient LED lights and Energy Star appliances reduce energy consumption and greenhouse gas emissions. 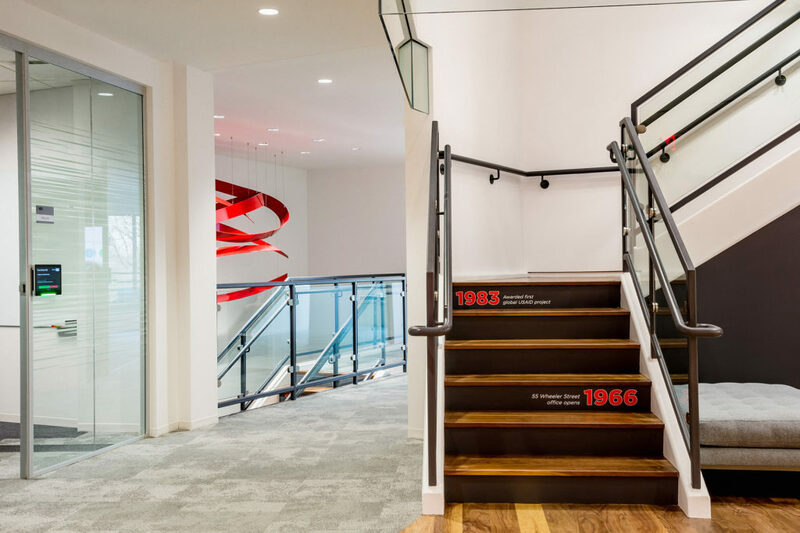 Like most tenant fit-outs the project was completed within a tight schedule, but the greatest challenge was the installation of a connecting stair. To support the new stair the building was heavily reinforced with steel, work that could only be completed within an occupied neighboring tenant space. Careful planning and coordination among all team members ensured occupant safety and minimized disruption to the neighboring tenant. 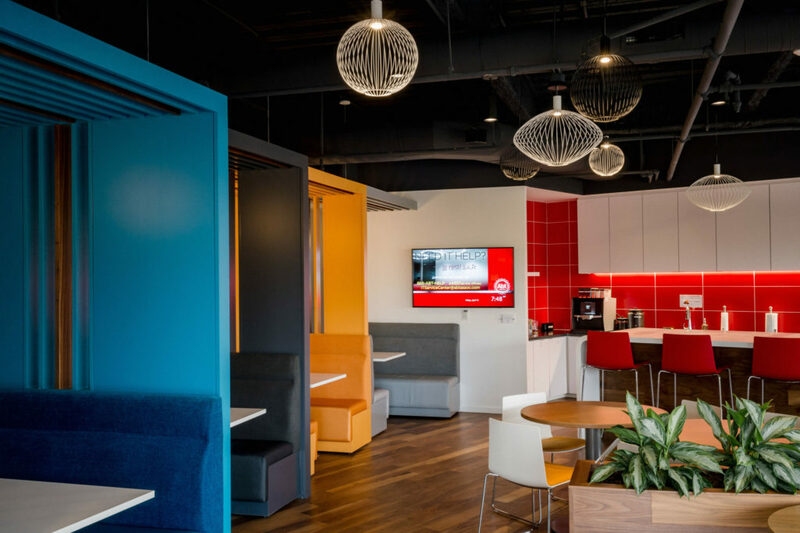 “Chapman has worked with Abt Associates for the past 25 years, and we are excited to have helped create a space in which their company can thrive for years to come,” said John Ferreira, Senior Vice President at Chapman. This project would not have been possible without the hard work of the great team of consultants: Jones Lang LaSalle, IA Interior Architects and WB Engineers + Consultants. Chapman’s project team included: Senior Construction Supervisors Joe Cahalane and Bill Shomphe, Construction Supervisors Ryan Aghoian and Anthony Bordini, Senior Project Manager Jason Emord, Project Manager Emily Clark, and Senior Vice President John Ferreira.